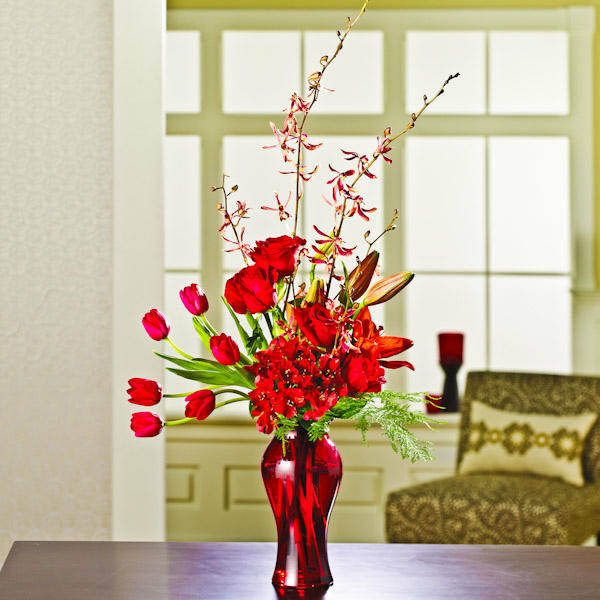 Remember the beautiful memories they brought to your life with a vibrant arrangement. 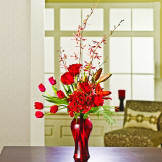 • Designed with roses, orchids, tulips, alstroemeria, lilies, and plumosa, in a red glass vase. • Measures 33"H x 16"W x 19"D.
Thank you. 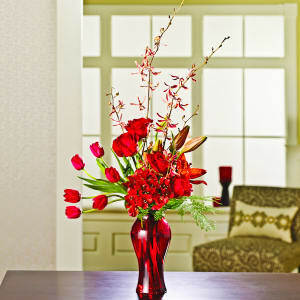 Your arrangement was beautiful.